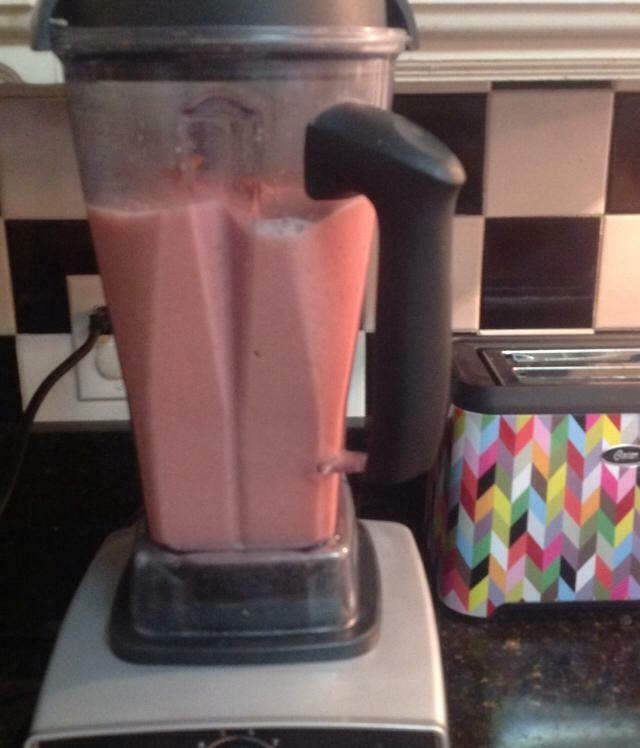 Of course, smoothies are our main use for the blender, although it has many more functions. We have smoothies nearly every day during the warm weather. If there is any left over, I pour them into reusable popsicle molds and we have treats at theready for tomorrow. 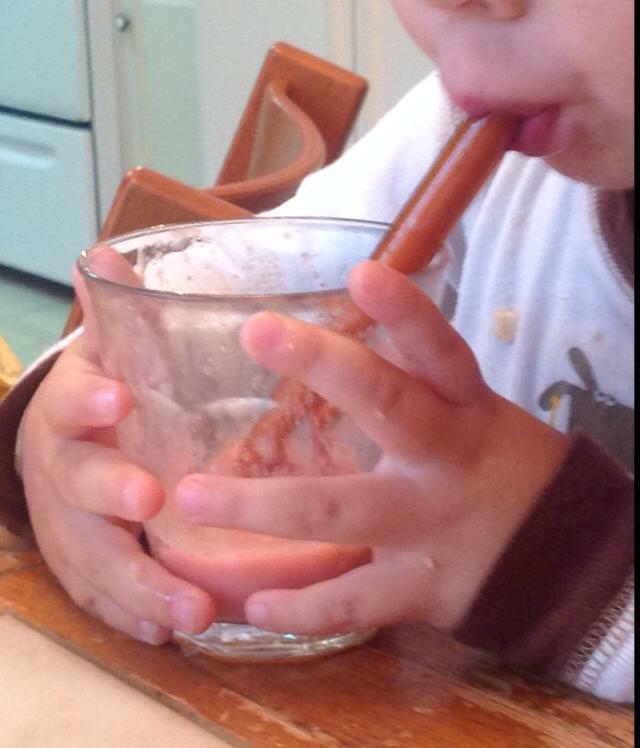 Fortunately, my kids are not picky eaters, but smoothies are still a quick, delicious and healthy way of packing in fruits, veggies, and even protein. Besides being a classic picky eater solution, smoothies are a great way to use up leftovers or over-ripe fruit, make an easy breakfast on the go, or provide a way to boost the health quotient of a meal. As an example, on a day I am trying to throw together a quick dinner, I often serve something easy like ham and eggs or omelettes. 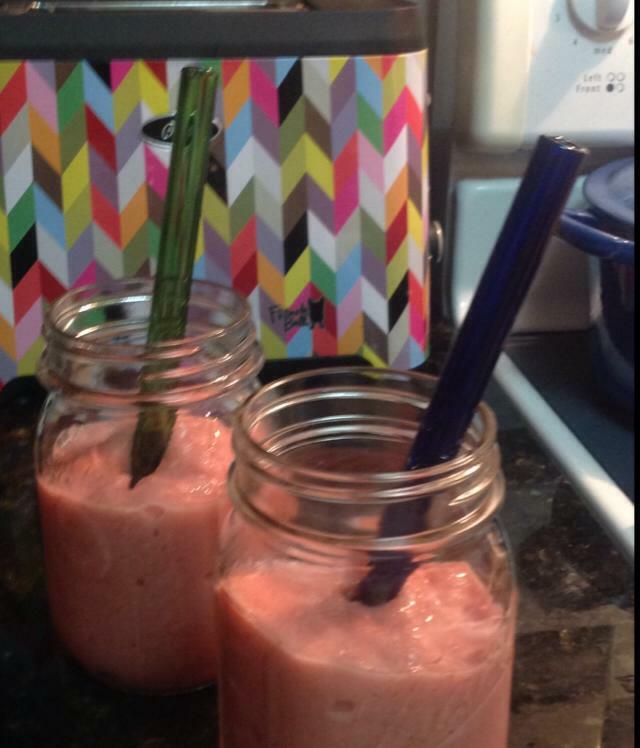 Adding a smoothie makes it fun for the kids and I feel better that the meal is more rounded. On a day that dinner will be running a bit late, I can hand them a smoothie to tide them over while I am doing last minute prep. If we are having leftovers or a meal that is not a favorite, I will add a smoothie and, as if by magic, the meal is greeted with sudden enthusiasm! Seriously, the kids never get tired of them! A few times we have had children over with dietary restrictions or texture issues and having smoothies in my arsenal has been a life-saver. We also use our blender to make hummus, soup, pesto, apple sauce, mixed adult drinks, and iced coffees. I have a list of additional recipes I would love to try but just haven’t gotten around to it. Once the colder weather creeps in again, I will experiment more with soups. So for our family, yes, a Vitamix has been money well-spent! Here are a couple of our favorite recipes, tweaked to make them dairy-fee for our family. Add ingredients in order listed, using enough ice to nearly fill the canister. Blend until smooth, using the tamper to push ingredients into blades. * When researching blenders, I was also very impressed with the Blendtec blender. 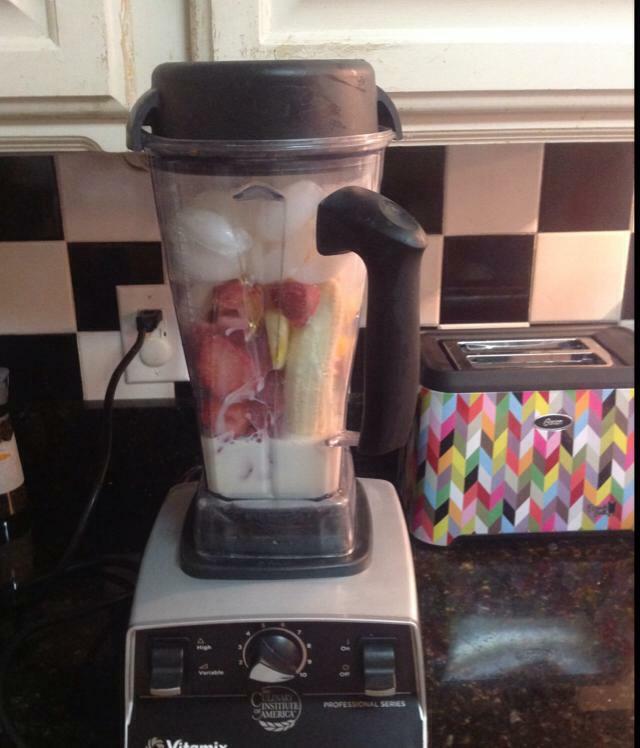 I think it is comparable to the Vitamix. For a budget-friendly blender, I would consider the Ninja if a Vitamix or Blendtec is completely out of the question.